Hirotaka Koga received his PhD from Kyushu University, Japan, in 2009 under the supervision of Prof. Takuya Kitaoka for paper-structured nanocatalyst composites for energy and environmental applications. He received Dean Awards for his sophisticated PhD thesis from Kyushu University in 2009. 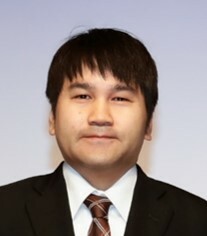 After JSPS postdoctoral study with Prof. Akira Isogai at the University of Tokyo, Japan, for cellulose-based composite materials for catalytic and electronic applications, he moved to Osaka University, Japan, as a specially-appointed assistant professor in 2012, then promoted to associate professor in 2018. In recent, he has played active roles in the advanced fields of cellulose nanofibers and papers, e.g. inorganic/organic hybrid materials based on nanocellulose for catalytic applications, flexible and wearable paper electronics. In 2016 and 2017, he was awarded Nature Industry Award and Young Researcher Award by the Cellulose Society of Japan, respectively.